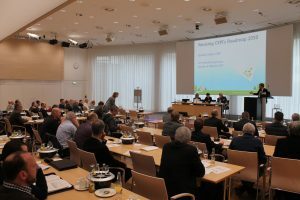 Beim kommenden Symposium geht die INGEDE noch stärker auf die Informationsbedürfnisse und Interessen aller Mitglieder der Papierkette ein – ein gemeinsames Plenum am Vormittag beleuchtet die Zukunft des Buches, Innovationen bei Klebstoffanwendungen und UV-Farben und wird die gesamte Wertschöpfungskette beleuchten. Danach konzentrieren sich zwei parallele Sitzungen einmal auf das Thema Altpapier, zum anderen auf Rezyklierbarkeit und den Deinkingprozess. So sollen die Aspekte von Sammlung und moderner Sortierung bis zur Identifizierung von Fremdstoffen intensiv beleuchtet werden. Parallel geht es um die Herausforderungen, die bestimmte neuere Druckverfahren an das Recycling stellen, und um verschiedene Arten der Zertifizierung von Druckprodukten. Weitere Informationen und das vorläufige Programm finden Sie demnächst hier auf der Webseite der INGEDE. As of January 2019, INGEDE will have two more members – and all of Stora Enso’s deinking mills will be member of INGEDE. “With every other mill joining INGEDE, this will increase the impact, and it underlines the importance of a common voice of the deinkers especially in difficult times for the paper industry”, says Axel Fischer, press spokesman of the association. “All our members are happy to have two more mills supporting our common goals – and our working groups”. INGEDE has three working groups, dealing with paper for recycling, recyclability, and the deinking process – the three most important issues for the deinkers; and has e. g. jointly developed a set of methods and evaluation schemes to assist the members in coping with increasing challenges by decreasing quality of paper for recycling. 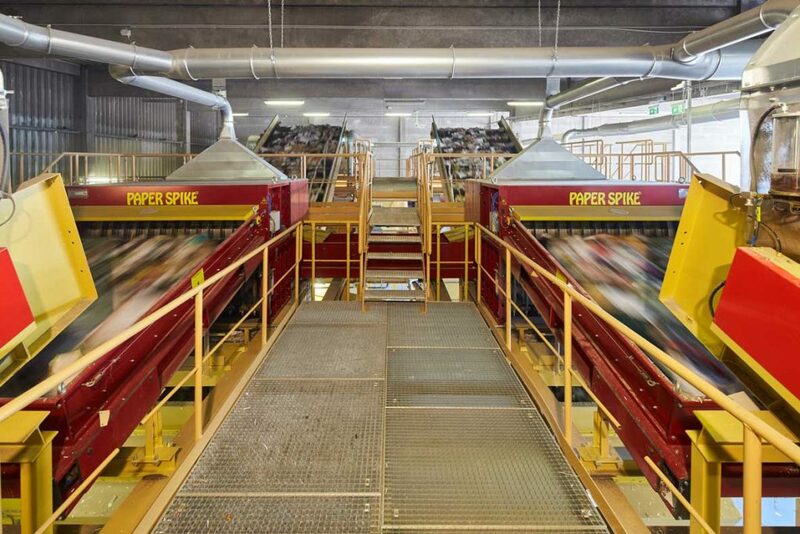 Stora Enso’s Maxau Mill in southwest Germany produces supercalendered paper primarily from recovered paper. With 441 employees, it has an annual capacity of 530 000 tonnes of magazine paper and 295 000 tonnes of deinked pulp. Stora Enso is investing 25 million Euros in a new 57 MW extraction-condensing turbine that complements the existing Combined Heat and Power (CHP) plant in Maxau. The investment will reduce the energy cost and secure long-term cost competitiveness of the paper mill. The Hylte Mill in southwest Sweden was founded in 1907, it is one of the largest newsprint mills in the world, and produces 480 000 tonnes of high-quality newsprint per year and 290 000 tonnes of deinked pulp, as well as biocomposites. Bernhard Fritz of Sun Chemical Eurolab presents to a full and attentive audience at the Fogra UV Printing User Forum in Munich. The 10th Fogra UV Printing User Forum – the programme had some elements of a retrospective accordingly, but still enough open questions to be solved until UV printing is mature. UV printing works by curing a liquid ink film by polymerisation, initiated by UV light, explained Sebastian Stange of Koenig & Bauer Sheetfed the basics of the technology. But that is where already questions came up: How do you evaluate the curing process? By testing chemical resistance, Stange explained, and by physical testing. His examples might still be used but triggered a lot of discussion among the audience: With all the health issues about photoinitiators and monomers, it is not state of the art any more to test physical resistance by rubbing with the thumb. André Salié, research manager from ACTEGA Terra, concluded the concerns: Many printers still lack knowledge about what goes on around the curing process. When going through the history of UV printing, Rainer Wolf of Heidelberger Druckmaschinen was the first to mention “deinking” next to ozone, smell and migration as one of the obstacles – “those days”. Then innovation dominated the stage, milestones like the first low-energy UV printers with highly reactive inks, aiming at commercial printers with the claim of fast drying and rapid further processing. Wolf pointed at the high productivity – one installation had 187 sheets of overprint with 56 million prints, he described. He painted a future of printing processes running autonomous, only to be interrupted if necessary; no need to “push to start” any more. Optimism also dominated the presentation of Olga Martin of manroland: She reported in 2018 more than one third of the sheetfed printers sold to be native UV printers, with a rapid growth of LED curing both in native UV and in hybrid printing machines. Especially online-printers according to her prefer UV for fast delivery, rub resistance is an issue for perfecting presses that print on the reverse side of the paper in an instant. With all the optimism, active printers also noticed some reluctance in the market, and some saturation – the increasing prices of UV curable inks due to health issues with the photoinitiators and the uncertainty when the next problems will occur, together with the still unsolved deinking issues have slowed down the initial enthusiasm. The RoHS (Restriction of Hazardous Substances) also has no valid exemption for the use of mercury discharge lamps, Klaus Blank of Heidelberger Druckmaschinen explained. The exemption for UV lamps has expired in 2016, and there are only proposals for further exemptions, no decision by the EU yet – due to overload. With the Minamata Convention and the EU regulation of 2017, strict rules ban import, export, and production of mercury-containing products. Health issues come with many of the UV print related materials: Axel Mayer of the employer’s liability insurance association (BG ETEM) reported about indications and indicators for harming fertility and unborn children, mainly connected to photoinitiators, one of them just recently banned from further use. Another issue comes with cleaning agents, here 2-butoxy ethanol is one of the candidates to become classified as “toxic/dangerous” rather than just labelled with a warning sign. Bernhard Fritz of Sun Chemical presented new ideas for better photoinitiators that migrate much less due to larger molecules, even suitable for food packaging. He follows new ideas to make printing inks more sustainable: To substitute polymers in the ink, he presented a project to use reclaimed PET from plastic bottles. Sun also works on better deinkable UV inks, the results soon to be presented. Die ROWE GmbH ist der Rechtsnachfolger der in 1969 gegründeten A.H. Julius Rohde GmbH und schon seit dieser Zeit erfolgreich in der Sortierung und im Handel von Altpapier tätig. Jahrelange Erfahrung in der Wertschöpfung durch Sortieren von kommunalem Altpapier, gewerblichen Papierabfällen und Papieren aus der grafischen Industrie ermöglichen die Bereitstellung von Qualitäten, die den Bedürfnissen unserer Kunden aus der Papierindustrie entsprechen. Selbstverständlich ist die ROWE gemäß EfBV zertifiziert. Auf dem Betriebsgelände in Nürnberg, mit einer Gesamtgröße von ca. 20.000 m2, werden pro Jahr ca. 180.000 Tonnen Altpapier bewegt. Hier wird zudem eine der modernsten Sortieranlagen für Altpapier in Deutschland mit einer Kapazität von 150.000 t/Jahr betrieben. Als kompetenter Partner der Industrie, dem Handel und kommunaler Gebietskörperschaften schließt die ROWE im Bereich Altpapierverwertung und Logistik, zusammen mit der Papierindustrie, den Stoffkreislauf und sorgt so für ein umweltgerechtes Recycling. Als Bindeglied in diesem Kreislauf bietet die ROWE ihren Kunden auch Vollversorgungskonzepte mit dem Rohstoff Altpapier an. Eigene Sattelfahrzeuge ergänzen dieses Konzept und sorgen für einen gesicherten Ablauf. Eine optimierte Logistik im Bereich Absetz- und Abrollcontainer und ein flexibles Fuhrparkmanagement führen zu einem reibungslosen Ablauf bei der Gestellung und Abholung von Systembehältern. Die ROWE ist außerdem mit einer nach DIN 66399 zertifizierten Anlage ein qualifizierter Partner für die gesetzeskonforme Entsorgung und Vernichtung von Altakten und Datenträgern nach BDSG. Ein effizienter und verantwortungsvoller Umgang mit Ressourcen liegt dem Unternehmen sehr am Herzen, so dass sich ROWE ebenfalls im Bereich Energiemanagement nach DIN EN ISO 50001 hat zertifizieren lassen. Weitere Standorte der ROWE Gruppe befinden sich in Erlangen, Dachau, München, Kinsau, Treviso (IT), Tachov (CZ) und Resita (RO). Hier werden insgesamt im Jahr ca. 1,5 Mio. Tonnen Altpapier bewegt. An den Betriebsstätten in Dachau (ASD – Altpapier Sortierung Dachau GmbH) und Kinsau (ASK – Altpapier Sortierung Kinsau GmbH) betreibt die ROWE in Kooperation mit anderen Partnern aus der Papierindustrie und der Entsorgungswirtschaft weitere Sortieranlagen mit einer jährlichen Sortiermenge von ca. 300.000 Tonnen. Die INGEDE lädt alle Unternehmen in der Papierkette, die sich dazu bekennen, das Deinken und die Deinkbarkeit von Papier­produkten zu unterstützen, zur Kooperation im Rahmen eines neuen Partner­programms ein. Alle INGEDE-Partner sind willkommen, an den technischen Diskussionen und Veranstaltungen innerhalb der INGEDE teilzunehmen, und im Gegenzug die gemeinsame Forschung finanziell zu unterstützen.